Madison, South Dakota is Jerry's home town and he had great parents who were always very supportive of everything he did. His first exposure to music was the polka dances the family attended. Initially Jerry's interests were in sports but he also played drums in a garage band in his early teens. At seventeen, he played most weekends at the Moonlight Inn, a local establishment. After graduating from high school in 1964, Jerry became a member of Myron Lee and the Caddies, an extremely popular rock band out of Sioux Falls. Although he gave college a try, it was soon evident his main passion was music. Jerry also played with the Velaires, a band out of Sioux City, Iowa. It was there that he got his first big break. In 1969 Eddy Rager, a Nashville musician called Jerry. He had met him years earlier while with Myron Lee. Another Nashville musician, Charlie Louvin, needed a drummer and hired Jerry. It was his first taste of the big time and a preview of what was to come. Backing Louvin gave Jerry a chance to play the WSM Grand Old Opry. But he eventually returned to South Dakota where his girlfriend and future wife, Marlys Roe, was playing with the popular Talismen. 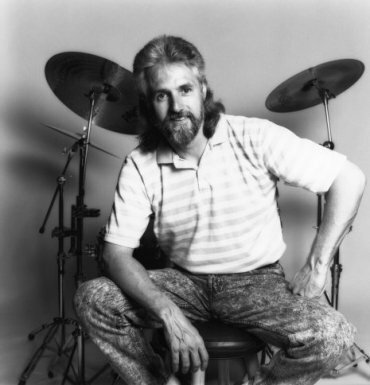 In 1971 Jerry and his wife Marlys moved to Nashville where he played for a short time with national recording artist Nat Stuckey and later was the drummer for a house band at a local club. That led to a five year job with Ray Stevens. After the Kroons had two children, Jerry eventually became a studio musician in Nashville and soon was in high demand. He worked with many well known artists including Willie Nelson, Dolly Parton, Eddy Raven, Tommy Roe, and many others. Jerry has been working and touring with Don McLean for a number of years and still is one of the best drummers in the country.